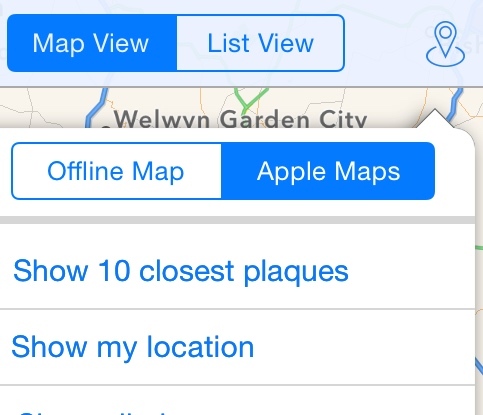 Here is a game you can play with the London Plaques app. 5. Edit the picture so that ideally you can see the inscription and it looks pretty. 7. 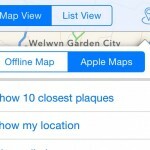 Look forward to seeing your plaque photo on an update to the London Plaques app on iTunes. Aimer spent several years (long story – see below) developing an app with Shire Books based on their classic London Plaques book by Derek Sumeray (and for the last edition with John Sheppard). Geo-locating the plaques was a requirement from the start but doing that for 2000 plaques as well as doing the other editorial tasks and checks was daunting, the solution came when we realised that some very kind people had already done a lot of the work in an open data project. Open Plaques is a open data project that is systematically crowd sourcing every plaque they can find in the world. We approached Open Plaques and managed to come up with a plan where Shire shared the London Plaques data about individual plaques and in return for Open Plaques added records for all the plaques they didn’t already have and adding in the geolocation information for all the 2000 plaques. Aimer could then access the London Open Plaques XML (which Open Plaques as they make available on their site) as a data source for the app. We then worked on the app, refining the functionality with the entries and the plaque information until we had an app. The relationship between entries in the book and plaques was a lot more complex than you would expect (lots of one to one, some one to many, some many to one, some many to many) which let to a lot of discussion internally and a number of false starts. Some entries were missing from the ebook we started with and that needed fixing. We refined the metadata to allow users to find plaques by Area, Date, Category and Nationality. We re-worked the look and interface when Shire did a rebrand. All in all, it took a long time but we are very proud of the final app.